Pastor Lisa Durkee of the First Congregational Church of West Brookfield, UCC has organized Music for Mali, slated for Saturday, April 6, at the Radisson Hotel, 10 Independence Drive, Chelmsford, MA (NOTE: This is a change in venue!) Mali, families have been fleeing violence, instability, and food insecurity, seeking refuge in neighboring countries such as Niger. Refugees are in dire need of food, clean water, healthcare, and emergency shelter. Join Relief International, Cheick Hamala Diabate, Balla Kouyate, Paddy Keenan, and others for a benefit concert to bring awareness to the plight of Malian refugees. All proceeds will benefit Relief International’s effort in Niger, aiding Malian refugees. Honored guests for the evening is Ambassador Al-Maamoun Keita, Mali's Ambassador to the U.S.
Entertainment will be provided by Cheick Hamala Diabate, Balla Kouyate, and Paddy Keenan. Read profiles on the performers below. For more information and to purchase tickets, click here. To make a donation, click here. 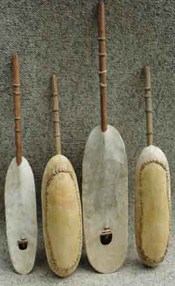 Cheick Hamala Diabate is a West African historian in the Griot tradition, and a world-recognized master of the ngoni, a traditional Malian instrument. A sought after performer throughout Africa, Europe, Asia and Canada, Cheick Hamala has performed at venues such as The Smithsonian Institute, John F. Kennedy Center for the Performing Arts, the New Orleans Jazz & Heritage Festival and many other top festivals across the US. Paddy Keenan is acknowledged as the most accomplished Irish piper performing today. In 2011, he was awarded a Lifetime Achievement Award from the Irish Music Association, which followed the award in 2010 for Best Uillean Piper. Paddy was a founding member of one of the most influential bands of the 1970s, The Bothy Band, known for forever changing the face of Irish traditional music. Paddy played the Festival in the Desert (in Timbuktu) in 2005, and has been working to help the people of Mali since his time there. Balla Kouyaté is considered to be among the greatest balafon players in the world today. A virtuoso, he plays two instruments to get a chromatic scale, allowing him to play any genre of music in any key. Balla was raised in the Djeli (Griot) tradition in Mali, and proudly carries on this traditional role. We welcome the director and producers of the film, The Last Song Before the War, Kiley Kraskouskas and Andrea Papitto of Essakane Film. The Last Song Before the War takes the audience on a high-definition journey to the most remote music festival in the world, the Festival in the Desert. Guests will have the opportunity to view the trailer during the opening reception, as well as to win a copy of the film as one of the raffle items. For more information, please visit the Essakane Film website.